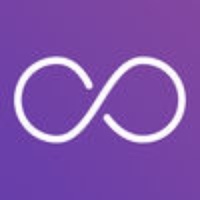 Loops is an app which allows you to play videos in loop the easiest way. Loops can be used for presentation, kiosk, at a party or for 'in store' video showoff. Upload, select, you’re done! To stop the loop, all you need to do is long press the screen for about 2 seconds. This is useful if you don't want anyone to stop the video accidentally while playing. Videos can be added through iTunes connect your device to a Mac or and open iTunes switch to the "Apps" tab and find "Loops" under the File Sharing section drag and drop your videos, they will appear in the app automatically when fully copied. You can also play videos from your iPod Library or from your Camera Roll. And last but not least, you can now import your videos directly from the app. You can download videos from iCloud or other compatible service provider directly in Loops. Tap the '+' button, choose your source, find your video, you’re done. Then, long press a video thumbnail to delete the imported file from Loops. Supported video format m4v mov mp4 Note video loops cannot be saved, shared or exported in any way. Check these links to find your download for Loops for & iOS or for your device iPod TouchiPhoneiPad. The app Loops is compatible with te following devices.